Hello again...today I am back with another Valentine's Day card. This time is a card I made for Michael....ssssshhhhh...don't tell him...LOL. Since we got our pups over a year ago, so much happened. So much love and so much work that is involved having these little babies in our lives, so I thought it would be fun to create a card with them in it sort of. So I ran into Jen Del Muro, who owns Reverse Confetti during CHA and she gifted me this adorable little set that was just perfect for the occasion. It's called Puppy Love....how appropriate, right? Anyway here is what I made. While I was looking at the Reverse Confetti shop I thought I would order some dies to go with my stamps and so I used Triple Chevies Confetti Cuts and the Tag Me Too Confetti Cuts dies. To add more pizzazz to my card I added some gold foil paper. My little puppies were water colored and I tried to kind of match Roxy and Zeus. Anyway, here is another picture of my card. 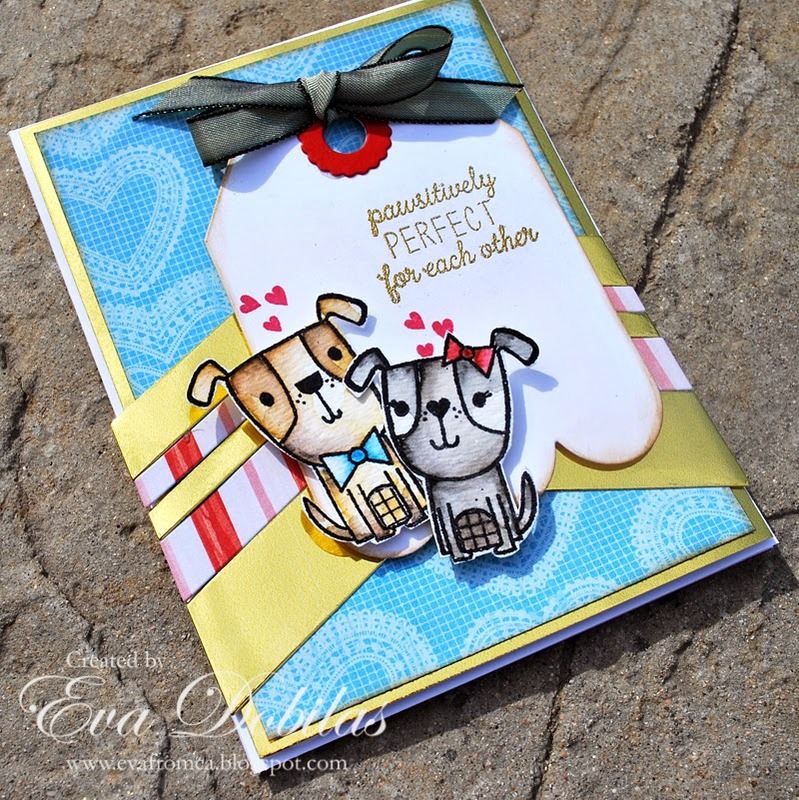 Here is what the adorable Puppy Love set looks like, in case you need them in your life. Too cute, right? I will have a card coming up with another set from Reverse Confetti, which I am in love with called Love Blooms. I am going to a retreat next week, so I will be posting things created while I was gone. Well, thank you for taking a peek at my blog and wishing you a beautiful day!